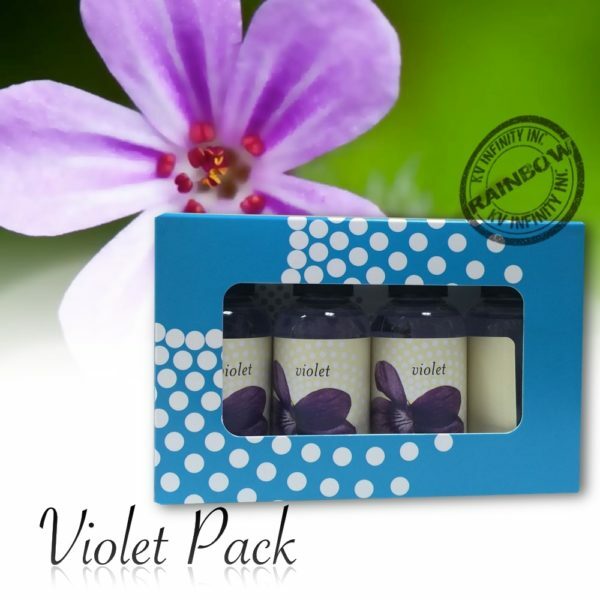 Fragrance Pack Violet includes 4 bottles 2fl oz / 59ml. 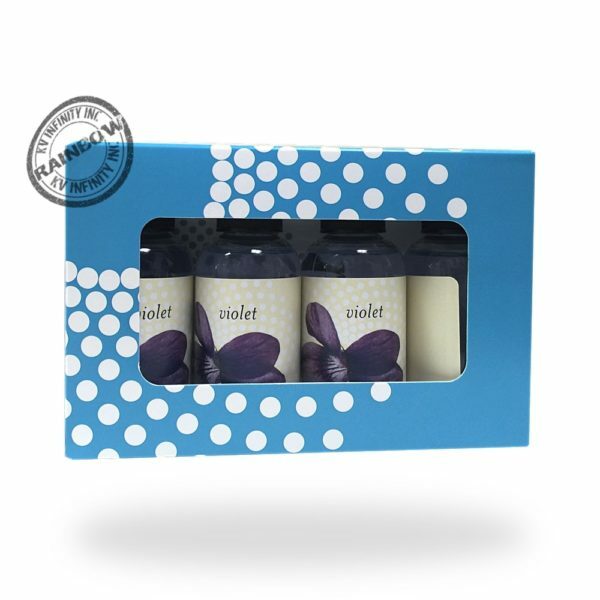 Fragrance Pack Violet, Pack of 4 bottles 2fl oz / 59ml. This package can last for more than 1 month using daily in your Rainbow Vacuum or RainMate. Fragrance Pack Violet, Pack of 4 bottles 2fl oz / 59ml. The Original Rainbow Vacuum Violet oil scents, safe for use in your Rainbow and Rainmate. Because of the Violet strong scent, this package can last for more than 1 month using daily in your Rainbow Vacuum or RainMate. Don’t worry about to running out of fragrances, get this package and have violet perfume for more than a month. You can also buy a single lemon bottle or an assorted Rainbow fragrance pack here. 4 Violet bottles 2fl oz / 59ml.